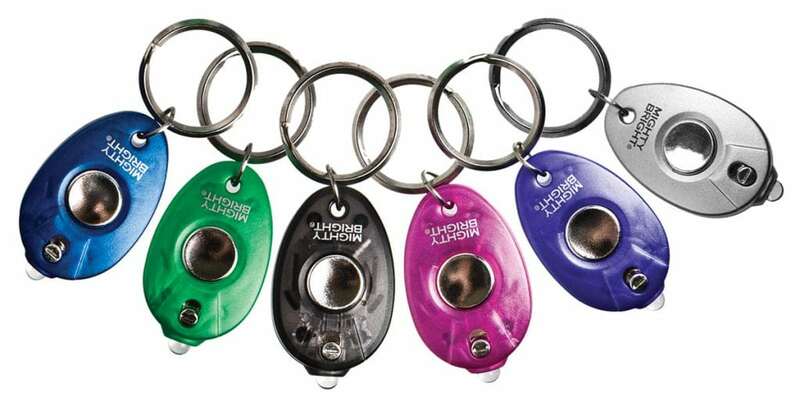 This handy keychain features a bright white, energy-efficient LED light. There is a press-on switch or a constant-on switch option. Beam visible up to one mile away! Powered by two included lithium batteries.